Sniffle Package Sale and Giveaway! 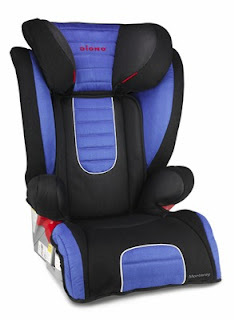 Diono Monterey Booster Seat SALE! Planet Wise Moo-licious Pail Liner Giveaway! 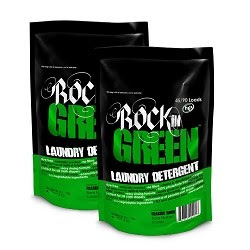 Rockin' Green Products 10% OFF in January! 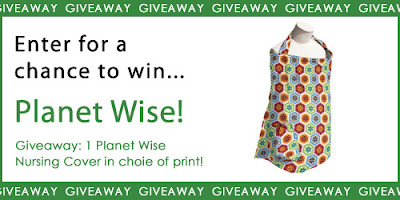 I'm so glad Planet Wise came out with a nursing cover, since after my 2nd baby I loaned mine to a friend! Their fabrics are super hip and high quality, the cover has full coverage around the sides, and it comes with a small zip-up pouch to carry it around it. I can even throw an extra set of nursing pads and a small burp cloth in the pouch so I'm ready to nurse anywhere! Also, the neckline is rigid so I'm able to see my nursing baby without exposing too much. I had the hardest time selecting which print I wanted (because I really only NEED one! ), but finally settled on the beautiful Organic Kaleidoscope. YOU can choose your own print if you are the winner of the giveaway below! 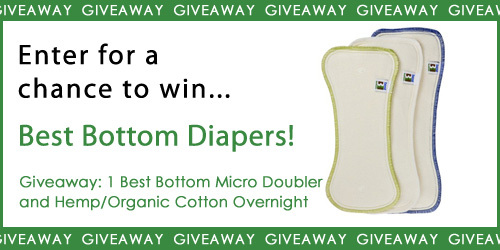 Best Bottom Doubler and Overnight Giveaway WINNER! Sniff, sniff. Cough, cough. AHH-CHOO!! Tis the season for germs and germ sharing! If you're like me, you're finding your little ones are the most adorable incubators for every little bug and virus out there! There are few things worse than having a sick kiddo. If you're lucky, it's just a cold that will pass quickly, but they can still be absolutely miserable and so can you. When we had my first son, the hospital sent us home with one of those bulb syringes to clear out his nose when he was stuffed up. If you ever want to get your child to turn bright red and hyperventilate from crying so hard, get out the bulb syringe! I have to agree with their thoughts on it though! Can you imagine having a rubbery plastic thing shoved up your nose when you're already feeling pretty yucky? Then you have to pull it out, squeeze whatever goo out of it you can get, and repeat that multiple times. I'd cry, too. When we had my second son, I was introduced to the most disturbingly wonderful product ever invented for parents... The Nose Frida Snot Sucker! 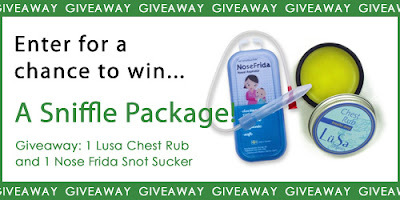 You place the end of the Snot Sucker up to your child's nostrils. The very tip of it goes in just enough to form a seal with their nostril. Then you control the suction by sucking continuously and gently on the other end. Don't worry, there is a filter and the snot stays FAR from your mouth! You would be amazed just how much junk comes out! The best part of it is, no pain for your little one! The Snot Sucker snaps apart and you wash it with warm soapy water and replace the filter. No need to worry about snot lurking in the depths of the bulb syringe. Casey is also a mom of boys and she knows all too well about sharing germs! She's had great results using Lusa Chest Rub and shares about it below! As a child, my parents used the chest rub religiously whenever I coughed or sneezed. I remember so many nights going to bed and hating the sticky feeling of the petroleum-based gel that adhered my pajamas to my skin. LuSa Organics took the benefits of that old chest rub and made it NATURAL and SAFE! For congestion on babies (and adults!) 6mo and older, just rub a small amount into the skin. The soothing and healing aroma of eucalyptus, lavender, and tea tree essential oils will help your little one sleep easy. 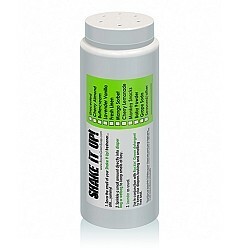 Now I can pull out the chest rub when my kids aren't feeling well, and I can feel happy that I'm putting something natural and safe onto their bodies! We've put these two products together for our Sniffle Package and taken 15% off while supplies last! 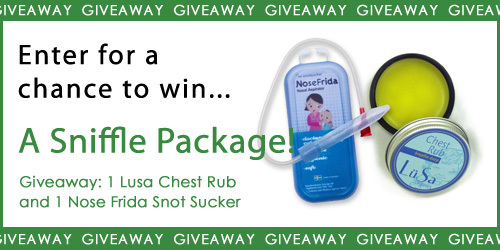 You can also enter below for your chance to WIN a Sniffle Package! 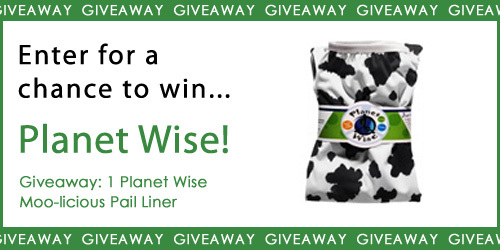 Planet Wise Moo-licious Pail Liner Giveaway WINNER! First, let me tell you a little bit about the new Thirties Duo All-In-Ones! 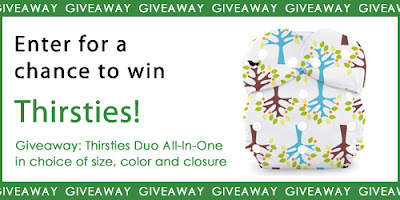 Their signature Duo sizing has the Size One Diaper fitting 6-18 pounds and the Size Two Diaper fitted 18-40 pounds! Each size has 2 rows of rise snaps, giving them a combined 6 rise settings! The inner is lined with a super soft fleece to keep baby feeling dry. 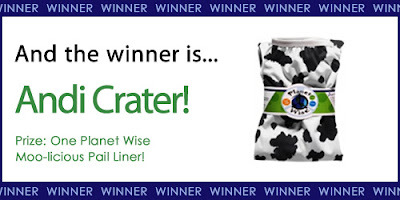 The built-in microfiber soaker makes super easy diaper changes with no folding or stuffing. The waterproof outer means no cover needed! These are available in snap or aplix closure. Emmett is 2 months old and 12 pounds so I used the Size 1 Snap (Mud) on him. He is on the middle rise setting and still has plenty of room to grow in both the rise and waist. I was surprised when I noticed that Thirsties didn't use their double leg gussets on these, but I was so please that it held messes in just as well and the gentle leg elastic didn't leave any marks on his legs. Emmett is a super soaker so one of my favorite things about this diaper is the ability to add more absorbency! There is a pass through sleeve where I can stuff a Thirsties Hemp Insert or any other doubler when Emmett is wearing the diaper overnight. Many one-size diapers are still quite bulky on Emmett, but because Thirsties uses their Duo system, this diaper is really nice and trim! Sean is 2 1/2 years old and about 30 pounds so I used the Size 2 Snap (Hoot) on him. He is also on the middle rise setting with lots of room to grow (although I hope he potty trains out of diapers before he grows much more ;-)) Sean is a little thicker built and we still did not have any problems with red marks on these. They are SUPER trim and fit great under his jeans! He has INCREDIBLY sensitive skin, so I was thrilled when he was able to wear this overnight (with a prefold used to add absorbency) and wake up DRY and without irritation! Would you like to find out about more wonderful Thirsties Products? Request their catalog here! 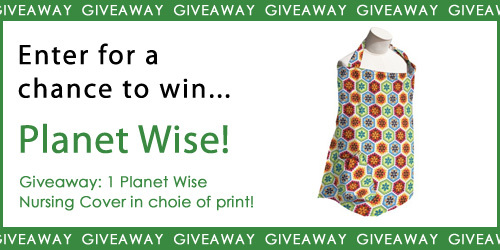 Would you like to win a new Thirsties Duo All-In-One in your choice of size, print and closure? Enter below!! Now through February 17th, take advantage of 10% off ALL Diono (Sunshine Kids) Monterey Booster Seats with FREE SHIPPING! I didn't think I could love a diaper more, but I was recently proven wrong! Best Bottom Diapers has released new Micofiber Diaper Doublers and Hemp/Organic Cotton Overnight inserts, adding 2 new great options to a line of the most versitile cloth diapers available! The Microfiber Diaper Doubler is made of 2 layers of microfiber and has snaps on both sides. Simply snap your Diaper Doubler into your Best Bottom Diaper Shell, and snap your Stay-Dry or Hemp/Organic Cotton insert (of the same size) on top! This is a great option for a heavy wetter, nap-time or long car rides! I've found it difficult to find a trim cloth diaper option that is absorbent enough to hold Emmett's heavy wetting. He's teetering on the edge of the next clothing size and in order to get a few more wears from them, we need a trim diaper! I've found these fit the bill perfectly! If heavy wetting is a concern during the day, imagine what it's like at night! Emmett is still nursing every 3 hours at night, but we've found he is WIDE AWAKE for HOURS if we change his diaper. Enter... the Best Bottom Hemp/Organic Cotton Overnight insert! 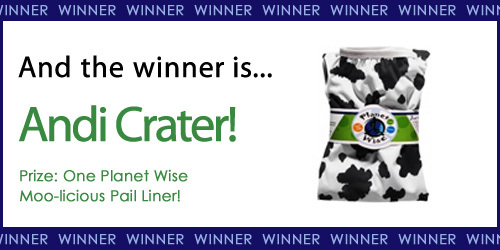 This insert snaps into your Best Bottom Diaper Shell and you snap a Stay-Dry or Hemp/Organic Cotton Insert on top. This creates a bullet-proof overnight diaper! You might tag a look at the price tag and get scared off. $9.99 for an insert? 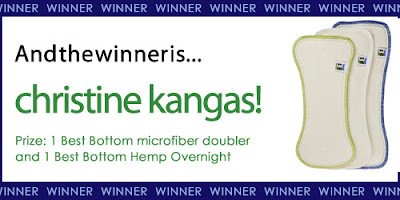 The truth is hemp is one of your best options for absorbency but it's often a little pricer. But think of it this way, you'll only likely need 2 or 3 of them (depending on how often you wash) and buying a $9.99 insert to turn your daytime diaper into a night time diaper is a heck of a lot cheaper than buying a diaper specifically for night time! One of the greatest benefits of using cloth diapers is the amount of money that it can save you. That amount is multiplied when you use them for multiple children! If you're like me, you may find that you have more than 1 child in cloth diapers at a time! Now that Emmett has joined our family, I'm finding myself with 2 in diapers for the second time. My middle son is 2 1/2 and although he's partially potty trained (when he chooses to be! 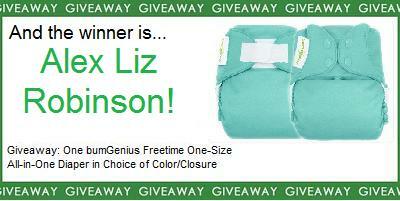 ), I'm still doing cloth diaper laundry for two! One-size diapers are the most convenient, particularly diapers that have a snap up/down rise to make changing the diaper size between children a snap (haha)! It's also convenient when you're on the go, bring any 2 diapers with you and you're covered for both kids! Don't go too long between washing! When you're filling your pail up with diapers for two kids, you may not realize just how many diapers are in there. You don't want your loads to get so big that your washer isn't able to get them clean enough. I would suggest not washing more than 18-24 diapers at a time. If you're using a system like Best Bottom Diapers, you can push that a bit more since they take up less space in your machine. Relax! Go into each day knowing you're going to be changing a lot of diapers and ENJOY it! Savor those couple one-on-one minutes with that child! Make goofy faces and sing silly songs. Embrace the fact that every cloth diaper you are changing that day is going to be reused over and over again. When we got our last shipment in of Imagine Prefold and Flat Diapers and I helped count dozens upon dozens of them, I had a lot of time to think :) Think about how I had tried just about every cloth diaper type out there and why I liked each one for different reasons. As I stacked up the pile of Imagine Flats, I realized that was one type of diaper I had never tried. Flats certainly aren't a "modern" cloth diaper, but we still sell quite a lot of them at Nicki's Diapers and I like to be able to share my experiences with diapers when customers ask! So that solved it, I was bringing home a dozen Imagine Organic Flats that night! They are one-size. Meaning, we could use those same flats that we were trying on my 2 year old with the baby I was pregnant with at the time. Extremely economical, especially when paired with a one-size diaper cover! They are very easy to clean. When flats are completely open, they are just a single layer of birdseye. 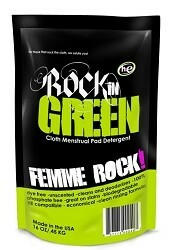 When washing this allows lots of water and detergent to get the diapers VERY clean! They are versatile. There are a variety of folds you can do to suit you and your baby's needs. 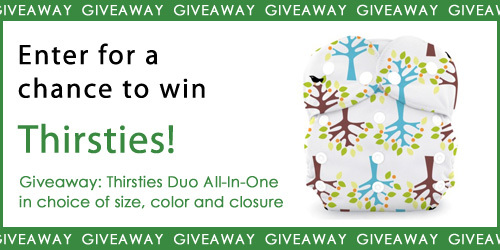 They can also be used as doublers and to stuff pocket diapers. 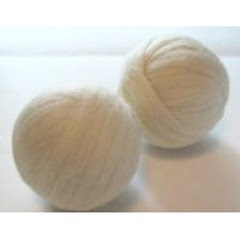 They are useful after cloth diapering! After your little ones are out of diapers, use your flats to wash your car, as a dusting cloth or general cleaning rag, or to get your mirrors and glass surfaces clean without lint! Now that our little guy has arrived, I've tried flats on him multiple times. They are so much easier than I had anticipated! Can you imagine how much money you'd save (especially over the course of multiple children) if you used flats and covers exclusively?! There are quite a few ways to fold flats, probably even more than prefolds. I've found 2 folds that I prefer on my 6 week old. The first is called a pad fold. Basically you just fold it several times till I lays nicely in your cover. Below is a picture of a pad fold in a Thirsties Duo Wrap size 1. The pad fold is nice because it's quick and puts lots of absorbency where you need it. The other fold that I found to work great on Emmett is the Origami Fold. I would love to provide you with detailed pictures on this fold, but I find it more helpful to look at a video. If you search Origami Flat Folds on Youtube, you'll get lots of great results :) Since Emmett is a heavy wetter, I trifold an XS Imagine Smart Fit Prefold and lay it in the wetzone. I also fold in the wings since he's still pretty tiny around the waist. In the picture below, I held the flat on with a Snappi before putting the Thirsties Duo Wrap Size 1 over it, but I've also found it nice to just wrap the wings around him and put the cover over the top. I like the Origami fold because it's a little bit more trim between the legs, and it also prevents the newborn poop from getting on the inside of the cover. Are you wondering just how economical using flats and one-size covers exclusively could be? That's just over $100! Can you IMAGINE saving that much money?! And you can use those diapers for future children, too! And just because my little guy's bottom half has been getting so much publicity... here's his sweet face. Can you believe how much he's chunked up?! WUB! 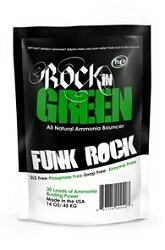 For the entire month of January, all Rockin' Green products will be 10% off! Take advantage of these great deals all month, January 1st through January 31st. No coupon necessary, valid in store and online! Keep your detergent scoop within easy reach -- just stick it to the side of your machine with magnets! You'll never lose it again! 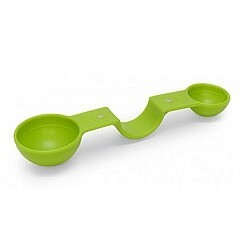 Sides measure 1 tablespoon (with 1/2 tablespoon mark) and 1 teaspoon. Choose one of several fun colors to match your decor!